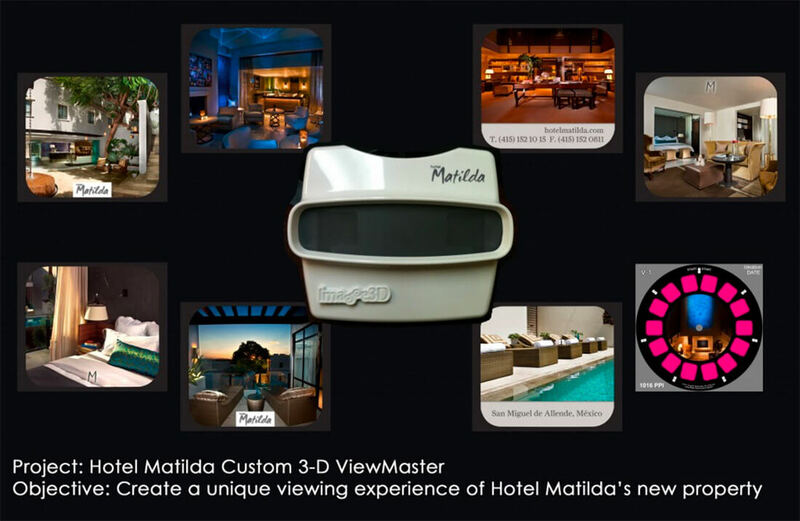 The grand opening for a new hotel in Mexico, Hotel Matilda, was fast approaching and they reached out to us to design a special gift for the media, travel agents, and other guests staying at the resort during a preliminary “preview” period before opening to the public. We had only a two week turnaround on this one so that the items would be ready for their VIP gathering. Eeek! With collaboration and quick ideation, it was decided to hand out a custom Viewmaster. We’d highlight the property and invoke some fun nostalgia among the recipients.